If you want to learn more about how to apply and enhance emotional intelligence in the workplace, this excellent guide from emotional intelligence experts Cherniss, Goleman, Emmerling, Cowan, and Adler (1998) is what you need. See below for the interpretation of your score based on range, directly from the editor at icebreakerideas.com. 68-80 You have extremely high emotional intelligence. You are skilled at understanding, interpreting, and acting appropriately upon your emotions and those of others. You deal effectively with emotional and social situations and conflicts, and express your feelings without hurting the feeling of others. 60-68 Although you score relatively high, you do have room for improvement. Watch the reactions of others to determine when you are using your emotional intelligence effectively and when you are not. Objectively looking at social and personal situations where emotions run high and analyzing your success will help you improve your already high emotional intelligence even more. 48-60 You fall in the middle range when it comes to your emotional intelligence. Although you are responding appropriately in most situations, your still find yourself losing it sometimes. You also get impatient with others and are sometimes uncomfortable in emotional situations. Don’t worry. Our section on developing your emotional intelligence will help you reach a high level. 40-48 Your emotional intelligence is a bit low. You probably struggle to manage your emotions in high-pressure situations or when you get angry. You have some work to do to improve. Begin by trying to express your emotions after you are calm. Our section on developing your emotional intelligence will help you a great deal. Under 40 Your emotional intelligence is extremely low. You are probably experiencing anxiety and stress on a daily basis. Additionally, you are probably having difficulty in school or at work, not making the progress you wish to. 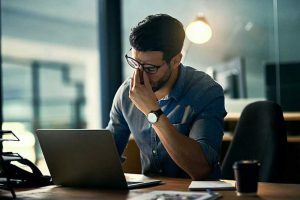 Read carefully through our section on developing your emotional intelligence and follow our advice to improve your EI and have a happier, more meaningful and successful life. Hossain also outlines another helpful icebreaker activity she learned from the consultancy Innerspace that’s all about telling your story-but telling it in a new and possibly more authentic way. To begin, have your participants turn to their neighbor and tell their life stories in just two minutes. Next, have each participant do it again; however, this time, have them share their story in a way that’s totally different from the way they normally do. Hossain says that people usually go straight to their work lives: “People tell each other where they went to college and their paths through various jobs that got them to this moment. When forced to do something different, they immediately start sharing things they usually never would in a professional setting-and they get really into it.” (Hossain, as quoted in First Round Review, 2018). In the second round, they open up quite a bit. They’ll talk about their real reasons for leaving a job and transitioning to another, why they moved, and what drives them. It’s a sort of “behind the scenes” peek at the real, more complex, and vastly more interesting story. Once each participant has told both versions of their story, get the whole group together again and have them share out about their partner’s story. Encourage them to note what changed and what was most interesting about those changes. The participants will likely find that they got to know each other far better than they thought they would in just two minutes of talking! The coaching firm Reboot taught Hossain this last icebreaker activity. It’s a great choice when you hope your participants will be vulnerable, open, and make meaningful connections. Before the official icebreaker-perhaps during a breakfast, cocktail hour, or whenever else you can fit it in. Give participants an index card and have each of them write down one work-related thing that worries them or causes them anxiety, preferably one that they don’t usually share with others. These cards should remain anonymous, so make sure they don’t write their names down on them. Gather them up and shuffle them, then place a card at each seat or space at the table. The idea is that each participant receives someone else’s card, and each participant can see that they’re not alone-we all have fears, anxieties, worries, and concerns hanging over us. This icebreaker reinforces that we are all vulnerable and we’re not alone, which is a great place to start an open and empathic dialogue between participants (First Round Review, 2018). Click here to see the last three activities described on the Fast Company website. Once you’ve successfully broken the ice, give this group activity a try. It has three separate levels with a range of time commitments, so you’re bound to find at least one level that works for you and your team. This group activity was designed off of work by the National School Reform Faculty, a non-profit professional development site for educators, and it works well with both teens and adults. Create the four signs: North, South, East and West. Post them on the walls of the room before your participants arrive. Bring large pieces of paper or flip-boards and markers for four groups. North: Acting – “Let’s do it;” Likes to act, try things, plunge in. South: Caring – likes to know that everyone’s feelings have been taken into consideration and that their voices have been heard before acting. West: Paying attention to detail -likes to know the who, what, when, where and why before acting. Begin by pointing out the four compass points posted around the room to your participants, and ask them to read the information posted under each point. Next, they should gather under the point that most accurately captures how they work with others on teams. Once everyone has chosen their point, have your participants look around and see who has ended up in each group and think about whether that makes sense to them or gives them any new insights about their coworkers and peers. What style do you find most difficult to work with and why? What do people from other “directions” or styles need to know about you so you can work together effectively? What’s one thing you value about each of the other three styles? When time is up and each team has answered all five questions, give them time to share out their responses. East group members get bored when West gets mired in details. This activity increases our awareness of our own and others’ preferences and styles, and helps us to better understand, communicate with, and work with people who have different preferences and styles. Ultimately, this diversity almost always leads to better results (Allen, 2015). To get a little deeper into this activity, you can go for Level Two. It adds about 10 minutes to the first level by including a component that makes the activity more personally relevant: after participants have chosen a preference compass point, have them think of a past team experience they’ve had that was either very positive or very negative. For now, tell them to think of it but just keep it in mind; it will come into play later. Encourage them to think of one they feel comfortable sharing, since they’ll be asked to report out to the group. After the participants have completed the first level activities and shared out some of their thoughts, ask them to think about their personal positive or negative team experience again. Tell them to spend a few moments reflecting on what they learned from this exercise and how it applies to their team experience; does it help them better understand why this past team experience was a very good one or a very bad one? The point of this extra portion of the activity is to get them thinking about what they’ve learned and how it applies in their real life. They may have some “a-ha” moments or insights that wouldn’t have come up without this exercise to get them thinking about it. Give them at least a few minutes to share the personal lessons they’ve learned, then shift into the key takeaways described earlier (Allen, 2015). To get really deep into the exercise and drive the point about emotional intelligence home, try the third level. You’ll need about 45 minutes to complete the whole thing. The pieces added to Level Three include a warm-up at the beginning and some preferences background information before moving into the Level Two portion described above. Once participants are all warmed up and ready to get started, you can move them into the preferences background information. Spend some time describing preferences and emphasizing exactly what they are-our natural inclinations or inherent tendencies. Emphasize that they are not things that we have chosen about ourselves, but pretty permanent features of our personality. For this exercise, the relevant preferences are those related to how we tend to behave in teams. Make sure to also outline what they are not (e.g., ways to label, categorize, or judge ourselves or others). They are also not good or bad; each type has its strengths and weaknesses. To help them understand, you can talk a little bit about famed psychologist Carl Jung’s research into personality types, including extraversion and introversion. Then you can move into something most people are at least a little familiar with: Myers-Briggs’ personality types research, which was the foundation for the Myers-Briggs Personality Type Indicator assessment, or MBTI. Once your participants have a good grasp on what these preferences and personality features are and why they are not “good” or “bad,” you can shift into the activity itself. Allow participants enough time to come up with their personal team experience and share out on it. After each group shares their responses and participants have an opportunity to share some of their reflections on personal team experiences, make sure you have a few minutes left for the key takeaways discussion (Allen, 2015). HR is one of the most effective places to apply what we know about emotional intelligence. Besides contributing to better communication, relationships, and problem-solving among current employees, emotional intelligence can also help you to identify the best candidates for positions within the organization. Emotional intelligence interview questions can be extremely helpful in narrowing down your pool of applicants, especially if you have a lot of applicants with similarly impressive qualifications. However, make sure you don’t just jump in and come up with your own ways to assess emotional intelligence; follow these guidelines to make sure you’re doing it the right way. Use personality tests as a proxy for EI; many of the EI/EQ measures are designed to measure emotional intelligence as a facet of personality rather than an indicator of work habits, competencies, and skills. 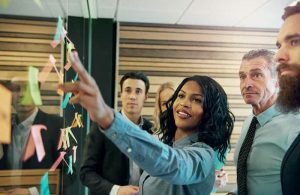 They may not measure specific components of emotional intelligence such as self-awareness, positive outlook, achievement orientation, empathy, or inspirational leadership. Use a self-report test (i.e., a test in which your candidates answer questions and report on their own emotional intelligence. This doesn’t really work for two reasons: (1) if a person is not self-aware, they possibly aren’t going to be able to accurately assess their own emotional intelligence, and (2) if they are self-aware, you could be giving them the opportunity to exaggerate their skills or abilities and make themselves seem like a better candidate than they really are. Use a 360-degree feedback instrument-even if it is a good measure of EI competencies. A tool like 360-degree feedback is best used for development and improvement in current employees rather than evaluation and hiring. When these instruments are used to evaluate, some people “game” them by carefully selecting the respondents and even instructing them how to answer the questions. Get references for the candidate-and actually call them! Letters of reference don’t cut it when it comes to gauging a candidate’s EI/EQ, because they are carefully prepared, static, and usually pretty general. When you get the chance to speak with a candidate’s references, you can ask them questions that really get to the heart of EI/EQ and its subcomponents and competencies. Get as many examples as you can and press for details. Above all, be sure to ask for examples of how your candidate treats other people. Interview for emotional intelligence. This might sound easy or like it’s something you are already doing, but chances are you aren’t actually assessing EI/EQ. In interviews that aren’t strictly structured, we usually let people be vague in their responses-even to the point of not really answering the question-and we often fail to ask good follow-up questions. Even when we ask candidates directly about emotional intelligence or EI-related competencies, they generally provide us with a picture of an idealized version of themselves rather than an accurate portrait of their real selves. To overcome these obstacles to getting a good handle on your candidates’ EI/EQ, behavioral event interviewing is the way to go (McKee, 2016). Behavioral event interviewing is a method that allows you to see their EI/EQ competencies almost firsthand. Start the interview off on the right foot; make it as warm, friendly, and comfortable as possible. This will help you get the candidate in a frame of mind conducive to sharing the information you want to get. Ask a few traditional questions about the candidate’s experience, background, and education. Next, ask the candidate about a recent situation where she and some of her peers (coworkers, teammates, etc.) faced a difficult challenge that needed solving, and encourage her to pick one where she’s the “protagonist” of the story and one where she was ultimately successful and/or proud of her solution. Ask her to tell the story in a few brief sentences first. Once you have the outline, have her go over the story in detail and ask her specific, detailed questions about it (e.g., what she thought at a certain point, how she felt about what happened, what she did about it). Ask her to share a similar story except this time it should be about a time when she failed and learned a valuable lesson. Again, have her give a brief overview then go more in-depth, and ask detailed questions. Finally, end on a positive note-ask for another positive story. This technique will give you insight into your candidate’s thought processes, her awareness of her own emotions, how she thinks and feels about others, what she does during a conflict, and how she handles disagreements and challenges with other people (McKee, 2016). You may not be great at this method right away, but practice makes perfect! Tell me about a time you received negative feedback from your boss. How did that make you feel? What would your co-workers say is the most rewarding thing about working with you? What about the most challenging thing? Can you tell me about a time you needed to ask for help on a project? (Cook, 2017). How do you build a rapport with your colleagues? (Doyle, 2018). This double volume will give you a broad understanding of emotional intelligence, with HBR’s top 10 “must reads” on the subject along with information and advice from HBR on how to actually apply this knowledge. You can find this set for sale or learn more about it here. I hope you enjoyed this dive into emotional intelligence at work! It’s a vital topic to understand for managers, HR professionals, and leadership at all levels. However, even if you don’t fall into any of the categories above, understanding your own emotions and working on your emotion recognition and management skills is still a good idea! What are your thoughts on emotional intelligence? Do you think it’s really as important as they say? How do you get an estimate of someone’s emotional intelligence without using validated tests or scales? How do you think it can be improved? Let us know in the comments section! Ealias, A., & George, J. (2012). Emotional intelligence and job satisfaction: A correlational study. The International Journal's Research Journal of Commerce & Behavioural Science, 1, 37-42. I really enjoyed your article and the many excellent activities and explanations offered. Thank you. I’ve taken a copy and will acknowledge your work and the Positive Psychology website when I pass it on during my coaching assignments.